So in The Return the vortexes turn out to be shortcuts between reality and the metaphysical. There seem to be several of these portals in the world. So far we saw two of them, and heard of one other. The first one is outside of Twin Peaks, the second in the ´new fat trout trailer park´(Deer Meadow?). Number 3, the one Freddie Sykes tells about, is in an alley-way in East End London. Buenos Aires Argentina probably has a 4th vortex. What can we derive from these vortexes? In Twin Peaks and East End London they have led up to the Fireman (a name that consists of 7 letters, = ??????? so that is solved) hence the White Lodge. Both have a shining white light at the end of the tunnel, like we also saw behind Laura Palmer's face in the Red Room. Remember 'Go To The Light!'? Both Andy and Freddie return transformed. Gordon Cole, looking into the vortex at the trailer park, can look up to the Black Lodge stairs ('we live above a convenience store') with the woodsmen awaiting him. Where Andy and Freddie are invited by The Fireman to be(come) 'guardians for the good', Gordon (and Albert?) is/are looking into the 'major Briggs vortex' more from a 'professional' angle and he/they make(s) sure not to got sucked in. From the vortexes in the US naked women keep falling: the decapitated body of Ruth looked thrown out, and Naido is who we obviously saw falling from the Bell structure containing the Purple Room. So Ruth was in the Black Lodge, and Naido was in ....? My guess is that by pulling the lever from AC to DC (or was it the other way around?) Naido 'took the fall for Cooper', in both senses of the saying. Is that why Andy says 'She's very important and there are people that want her dead?'. Since Laura Palmer already IS dead I would say Naido is connected to Josie/Judy (as will be proven in the ovens cellar of the Great Northern next week, huhuh). Who wants her dead? Mother/experiment I guess? One thing though: only the Twin Peaks/Ghostwood vortex portal seems to have the oily pool of Glastonbury Grove with the 12/13 sycamores plus a lot of smoke. Does the 'scorched engine oil' pool generate the vortex? In East End London the vortex was (on) a pile of stacked boxes; in the trailer park it was.....? Also remember the sheriff's team had soil in their pockets. Yeah why did they do that? Who told them so? It was Andy who suggested it. Was that it in/on the note of Major Briggs? Probaly to 'ground' themselves and be steadier in reality? But Andy DID put some earth in his pockets himself, right? Yes Andy put himself some earth in his pocket. 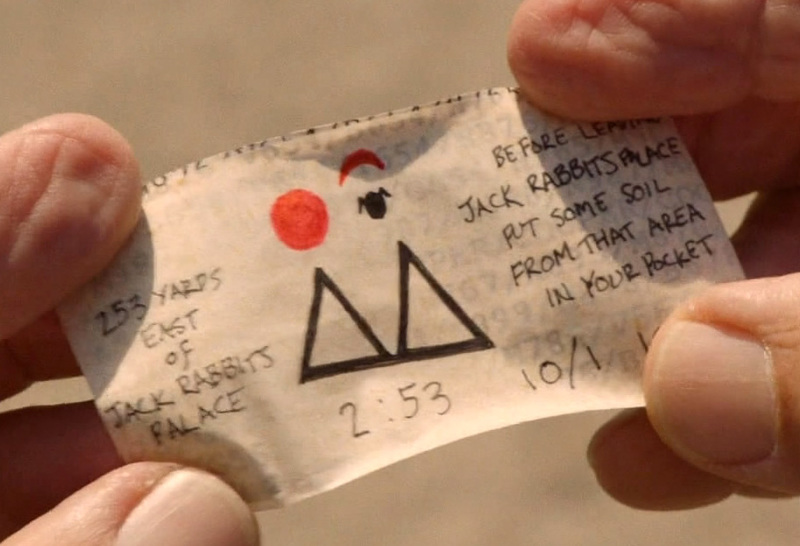 When the 3 others reappeared, it was 253 yards away from the gold pool / vortex exactly at the place where the soil was taken previously : Jack Rabbit Palace. Andy reappeared at the same place too, few seconds later, but with Naido. I guess the soil is the way to reappear in a safe place, the place where it was taken, far away from the gold pool. And who is out to kill Naido, do you think? ...drunk man in jail ? Oil in mouth, he seems possessed. I guess that we are going to see him in another episode. I suppose he was not invited at the Premiere just for this short scene. The men that are coming: Mr C and the Woodsmen. Okay, and why? What is the message that Naido is so desperate to convey? Fat trout? 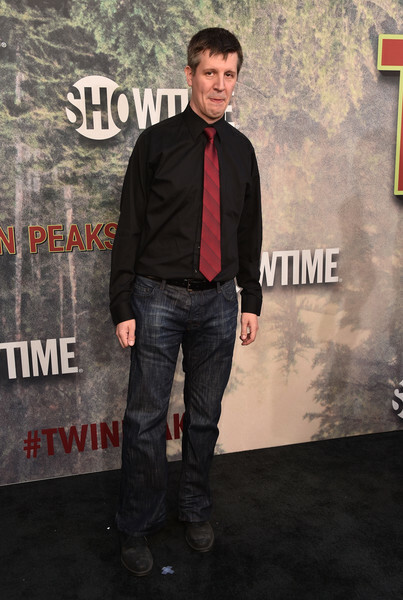 I don't think the vortex Cole saw was in Twin Peaks at all... he was still in Buckhorn, AFAIK? Good point! I was thinking along the coordinates on Ruth's arm (pointing to Twin Peaks) but you are right: this is 'elsewhere'. Did we ever find out where this was, so far? Yes. The vortex Cole looked into was in the general vicinity of Buckhorn, SD. The coordinates they found on Ruth's arm lead to Twin Peaks. Near Buckhorn are the Black Hills, as I recall. (I saw that earlier on the map in Mr. C's suitcase computer in the motel roomscène with Darya). Black Hills is also native American country like Snoqualmie is Nez Percé land. Could Ghostwood Twin Peaks be the location of the White Lodge vortex and the Black Hills Buckhorn that of the Black Lodge vortex?